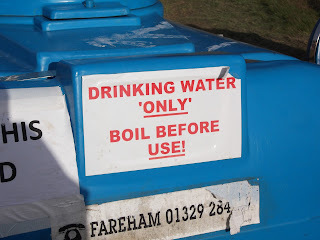 The “Blog” of “Unnecessary” Quotation Marks: Drinking water "only"
I'm not sure what makes this water reserved for drinking, especially if you have to boil it. Thanks, Alex. It's specially designed for boiling, more durable than other waters.